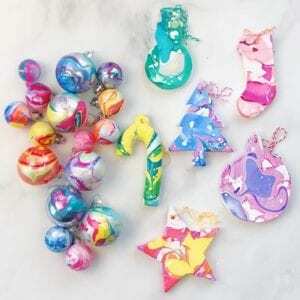 I often get asked what I do with all the painted rocks I make. I have a few hundred after creating them for my book the Rock Art Handbook. While I give most of them away and leave others outside for people to find, sometimes I like to display them in my house. 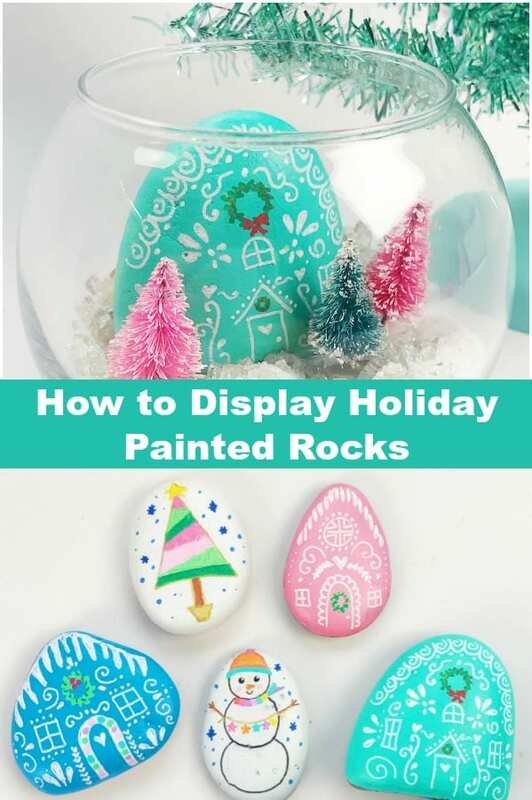 This is a fun way to display holiday painted rocks, however you can use this same concept for any time of year. 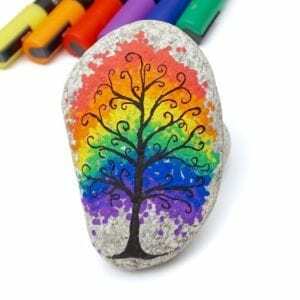 Rocks – Amazon has some great options for rocks if you are having trouble finding smooth rocks to paint on. Paint Pens – I love these extra fine Posca Paint pens. This is the full set of colors if you want them all. I also really like to use these Artistro paint pens. 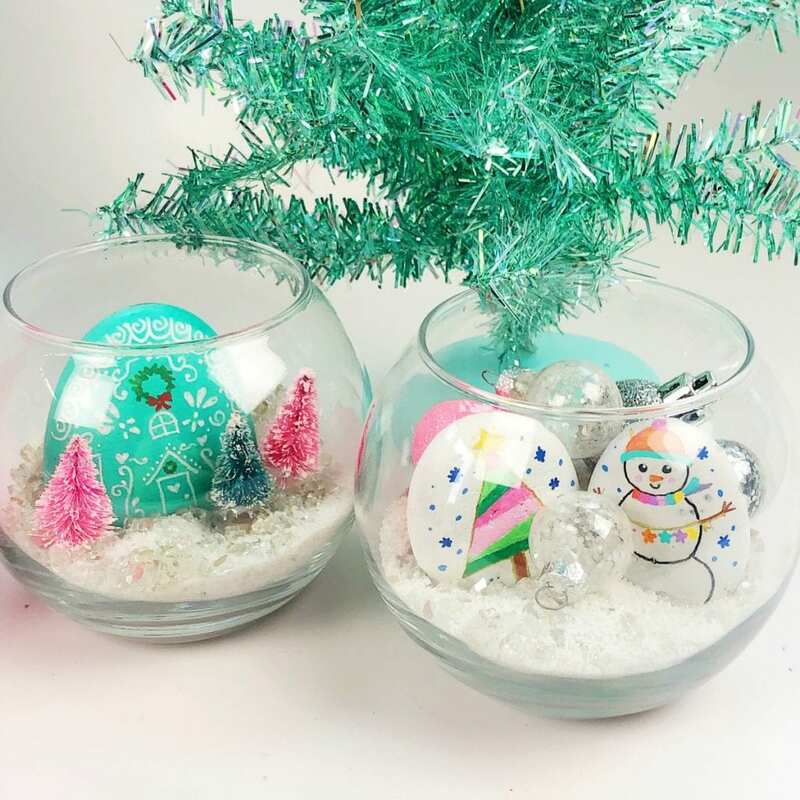 Decorative Glass Bowls – I got my bowls at the craft store but you could also use terrarium glass bowls. 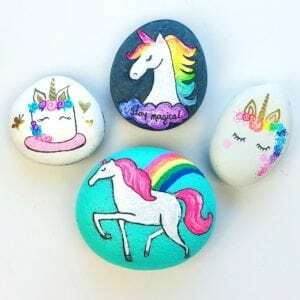 Start by painting your holiday rocks. I painted gingerbread houses, snowmen and Christmas trees. 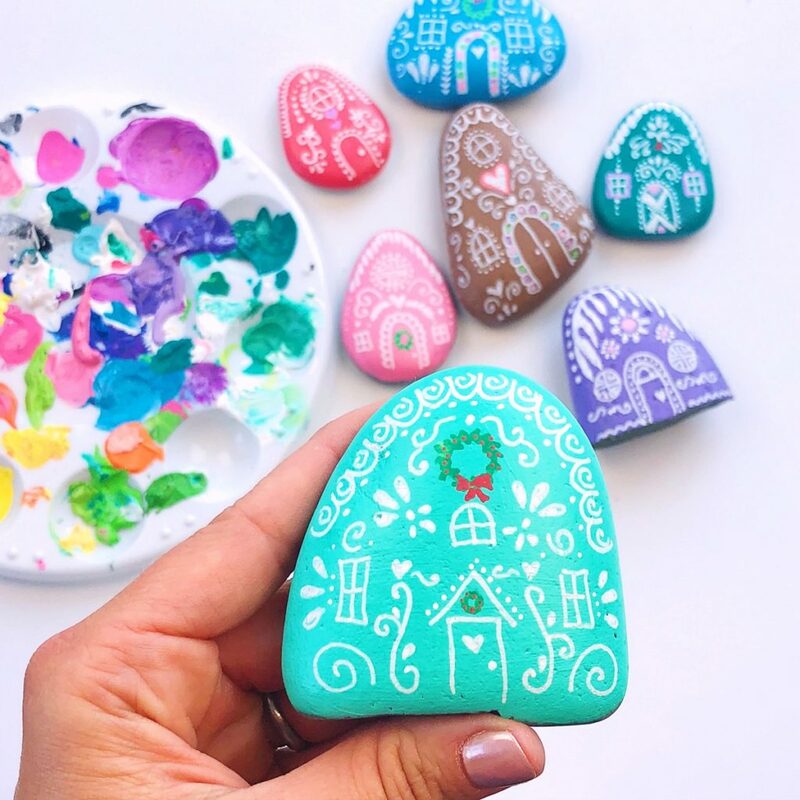 For the full gingerbread painted house tutorial, see this post. For the snowmen and trees, I covered the rocks first with white acrylic paint and then added details using paint pens. 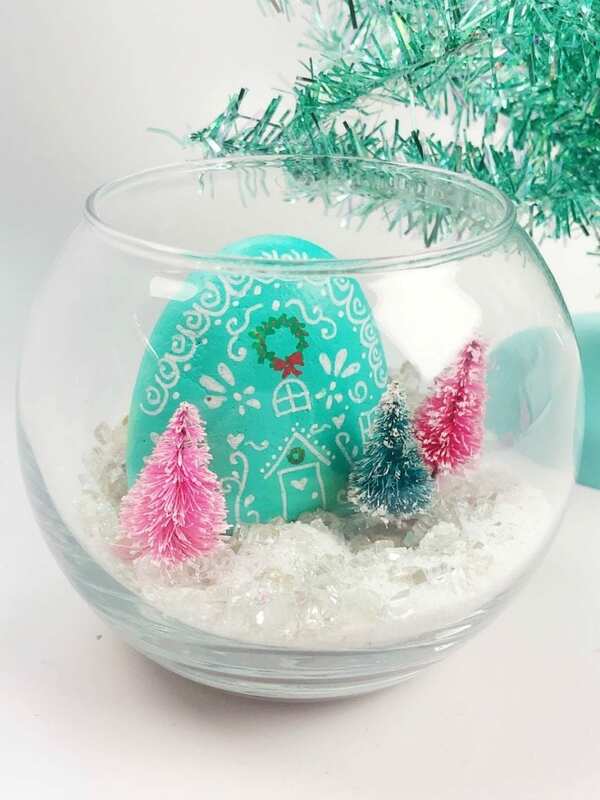 Add decorative sand, crystals (or fake snow), miniature accessories and then finally add the painted rocks. 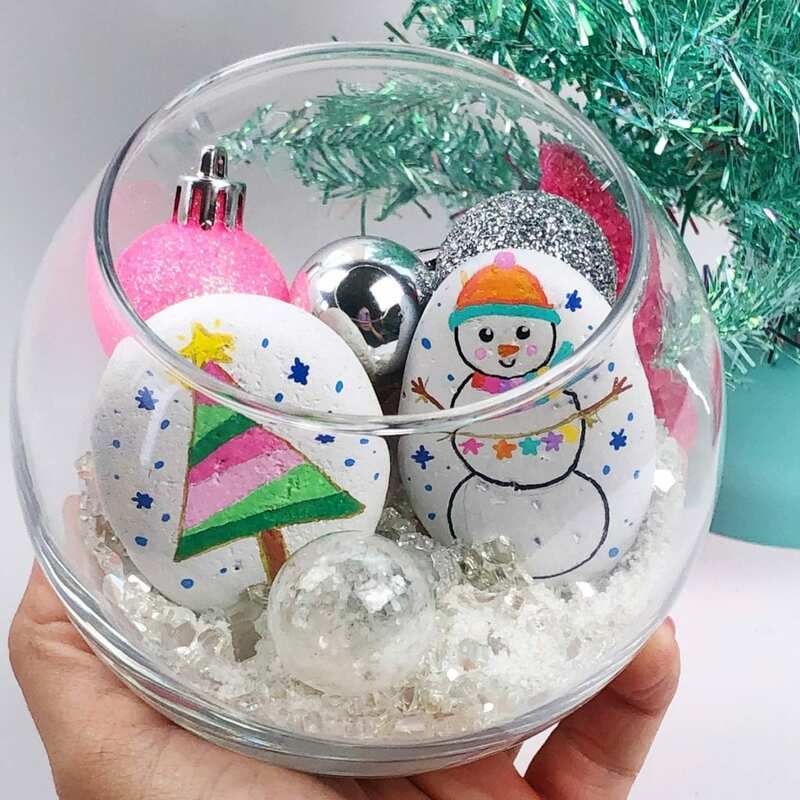 These little holiday painted rock displays would make such great gifts for the holidays. 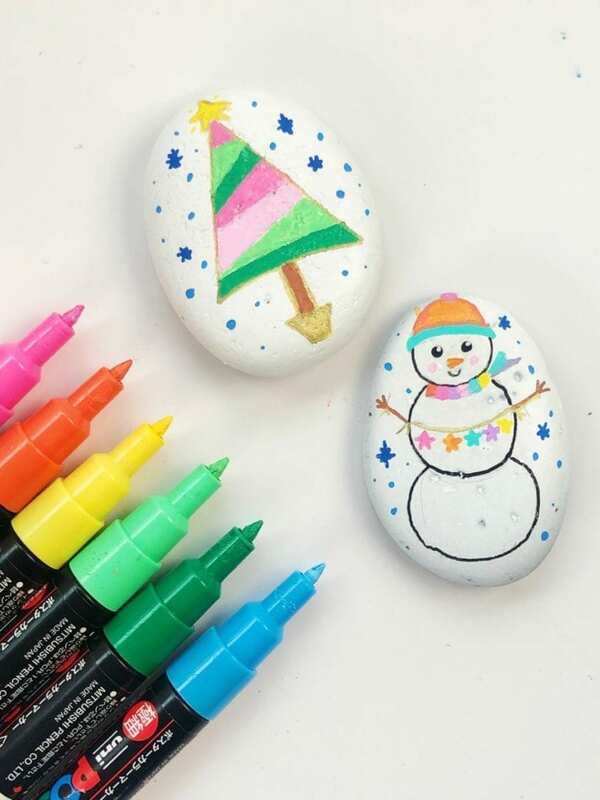 You could also set up a craft station for the kiddos during holiday parties where they could make their own holiday painted rock display. I’d love to see your finished displays if you try out the tutorial. 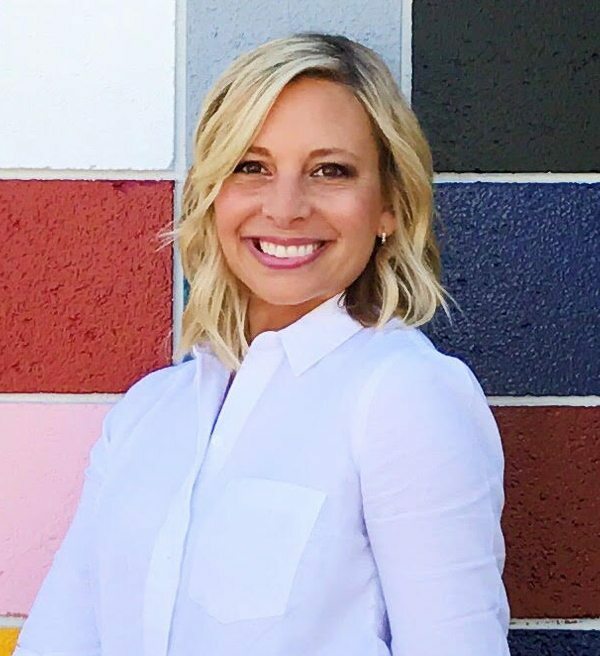 Come share a picture with me on Instagram or Facebook! I love showing examples of my tutorials being made! My mother has mild dementia and I cannot wait to try this activity with her.